Massive open online courses (MOOCs) provide an affordable (generally free) and flexible way to learn new skills to advance or enhance your career or for your own personal development. The team over at Esri has joined the MOOC movement with five free GIS-related courses that require only a few hours of study a week and provide a certificate upon completion so you can amp up your resume (and show your boss). Courses include hands-on exercises, short video lectures, quizzes, case studies, and discussion. Here’s a brief outline of the available courses. Earth Imagery at Work (September 6 – October 17, 2017). Digital images of Earth’s surface produced by remote sensing are an important component of modern mapping. This six-week course is for those interested in applications of Earth imagery to increase productivity, save money, and protect the environment. Students will learn how to interpret and analyze imagery using the latest GIS workflows. The Location Advantage (November 1 – December 12, 2017). This six-week course is geared to business uses of GIS and shows students how to use location analytics to enhance decision-making and this competitive advantage. Going Places with Spatial Analysis (course being revised, schedule TBD). In this six-week class, students will get hands-on experience with state-of-the-art spatial analysis workflows in a cloud-based mapping environment. Do-It-Yourself Geo Apps (September 6 – October 3, 2017). This short (four-week) course will teach students how to combine location and narrative in one application (called a geo app) to communicate and distribute stories, create custom web applications that solve problems in their community, and build powerful native applications for iOS and Android devices—all without touching a piece of code. Plus, if you are already a developer, you’ll be introduced to Esri’s APIs (application program interfaces), SDKs (software developer’s kits) and the GeoDev community. Cartography (November 1 – December 12, 2017). This course is still being developed (hence no link) but should be of great interest to cartographers and surveyors. 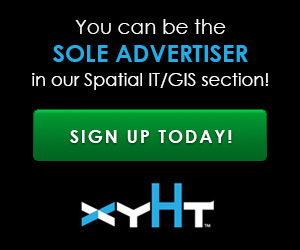 Looking for a deeper dive into GIS? Scroll to the bottom of Esri’s MOOC page to find GIS courses from Pennsylvania State University and the University of West Florida. Thanks for sharing the information Jeff!